Big firms will feel the pain of the Apprenticeship Levy in the coming months when the first wave of payments will be wiped from their accounts unless they’ve invested the monies in training apprentices. Apprenticeship provider Develop Training Limited, whose customers include household names in the construction and utilities sectors, asserts that the deadline should focus attention on making the controversial initiative work. Companies with payrolls above £3 million have been paying into the scheme since its launch in April 2017 and continue to do so monthly. They can claw the money back if they invest it in apprenticeship programmes with approved providers, but there’s a two-year deadline. This means that, in April, Apprenticeship Levy payments dating back to the start of the scheme will go to the Treasury, and funds will continue to be funnelled away each month on the second anniversary of when they were paid in. For example, the Apprenticeship Levy payments that companies made in September 2017 will no longer be available to invest in apprenticeship programmes from September this year. 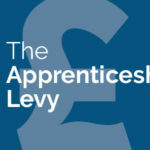 The Apprenticeship Levy was supposed to encourage firms to invest in apprenticeships, but confusion and concerns about costs meant the scheme initially had the opposite effect. Develop Training hosted an Industry Skills Forum in late 2017 for leading figures in HR in construction and the utilities that highlighted wildly varying views on the Apprenticeship Levy, from companies that were embracing it to train new and existing employees through to those who saw it as a tax. Since then, the Government has tweaked the scheme significantly, reducing the amount of payments and allowing smaller companies to use Apprenticeship Levy money to help other organisations (typically those in the big companies’ supply chains) finance their own apprenticeship training. Now, despite wider political and economic uncertainty, Develop Training hopes 2019 could still be the year that kick-starts the faltering programme. The training company has campaigned vociferously for businesses and Government to invest in training in key verticals in order to address the massive skills shortages being faced. Whether by using Apprenticeship Levy-funded apprenticeships or by investing directly in learning and development, Develop Training is urging companies heading for the looming deadline to meet the challenge and ensure Britain has the workforce it needs to keep the country’s key projects running into the future.